Yup. I'm an A/V nerd, and I loves me some of these new audio decks. The LS-100 looks to be a formidable entry in the current digital audio war, with stereo mics and stereo XLR/TRS combo jack inputs. 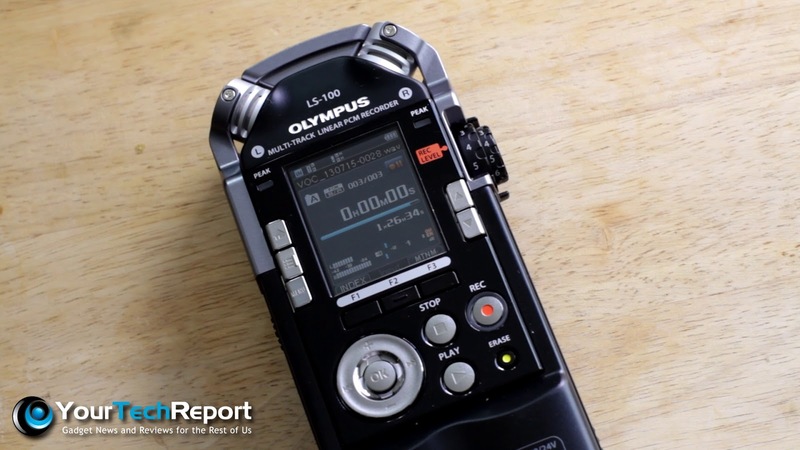 Olympus is aiming to take a bite out of the field recorder market, so let's see if the LS-100 has the juice to get the gig done! Shopping using these affiliate links helps support my site at no additional cost to you! What's the big deal about running it on USB? The Zoom H4n can do the same. Just 20 seconds of soldering a cable. It WOULD be a cool thing if it was CHARGING the internal battery over USB. If not, then using a special type of battery is not a feature but a problem because you can't get a pack of replacement ones at every corner in the middle of nowhere. Also there doesn't seem to be a 3.5mm stereo-jack to attach 2 microphones in addition tonthe 2 XLR-jacks like on the cheaper H4n to record 4 external microphones. I'm also missing the option of a remote control with clipping indicators like on the H4n. This comes extremely handy when your recorder is closer to the source then you are or you are recorded and have the remote just out of frame to get feedback about being about to or actually clipping. Audio menus and bright, flashing lights may be problematic when there's other people recording video around you because you may ruin their shots. Tascam has the ability to record the same audio at 2 levels (for safety against clipping, think applause and cheering during a concert). After your review I have the impression that this expensive one doesn't.